This week Bill visits the the Governor of Utah, Gary Herbert. 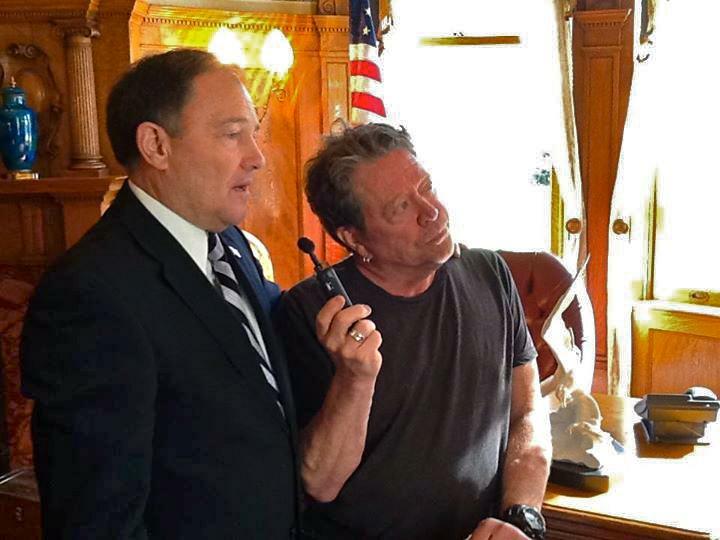 While showing Bill around the Governor’s Mansion Mr. Herbert shares stories from his past, and talks about some of the current political events happening right now in Utah. Thanks for doing this! I have more respect for a prominent politician who will agree to an interview with someone he disagrees with ideologically. You guys poke fun of him on the RFH show and I’m sure the things he says about you on his own time aren’t all good, but it’s always refreshing to see bipartisan collaborations like this. Also interesting to hear some state history and stories about the governor’s residence.